Enriching student life is a crucial contributing factor to our students’ happiness and success. Our passionate community of administrators, teachers, student leaders, and parents comes together to ensure our students have the opportunity to make their school life joyful and vibrant. At The Study Academy, we provide opportunities for our students to explore leadership, creative outlets, sports, relationship-building, and academic enrichment. We know that making room for this kind of growth will enhance performance in the classroom. 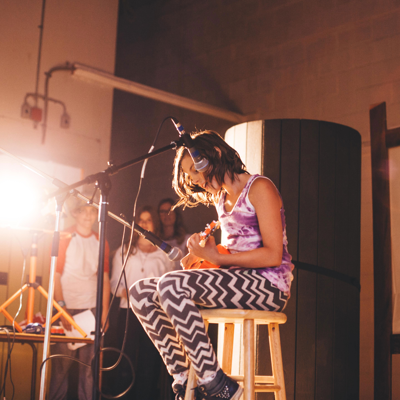 Our students have the opportunity to explore music, visual art, drama, and filmmaking. At The Study Academy, we value the importance of the arts—students need creative outlets to express themselves and to enhance their disposition for critical thinking. Our Lower School (grades 4–8) art curriculum is integrative, exploring painting, sculpture, photography, movement, drama, music, and filmmaking. 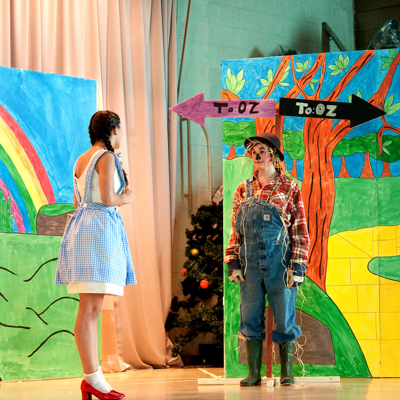 Our Upper School (grades 9–12) offers courses in visual and media arts, as well as music. To ensure a rich academic and creative environment, we frequently offer workshops featuring some of our favourite local artists, including Taha Muharuma of Taha Photo, Mark Gleberzon of MJG Gallery, and Brent Orr of Never Too Short Productions. To supplement curricular learning, The Study Academy also offers extracurricular opportunities in art including clubs, an annual talent show, student galleries, and our after-school theatre troupes. From sweating in the gym to mixing it up in the kitchen, we offer our students a wide range of extracurricular activities. These are an important part of school culture and provide opportunities for students to build teamwork skills, leadership abilities, and long-lasting friendships. Every fall, our Upper School students take to the polls and elect the student council who will lead them. An executive team, as well as grade representatives, are chosen. Executive council acts as liaisons between the student body and faculty to plan such events as social barbeques, themed spirit days, inter-House challenges, workshops, and field trips. Grade representatives provide input during executive council meetings, support student visitors, and act as student ambassadors at school functions. Together, the student council ensures that student interests are shared with faculty and that students have the opportunity to pursue those interests. One of The Study Academy’s favourite traditions is the Four Houses of Upper School. Every student belongs to a house and, throughout the year, participates in inter-House challenges and activities to earn points for their House. At the end of the year, the house with the most points wins the Husky Cup (named after our athletics mascot!). This system recognizes the degree of commitment recipients have had throughout the year to athletic competitions, sharing spirit in themed activities, and taking an active and positive role in contributing to school culture. The House system promotes interaction across grades and provides leadership opportunities while building school spirit. 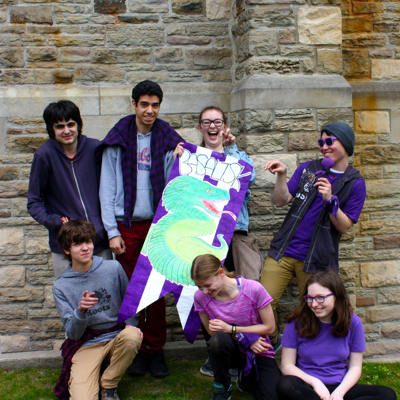 Students enjoy a laugh after completing their House Basilisk banner before joining the Battle of the Houses. Built on sweat equity, Inspire Week is a week-long community service learning event for Upper School students. The Study Academy organizes themed international trips, speakers, and activities so students can participate in community planning and development projects. Inspire Week takes place during the second semester and encourages students to expand their learning experience beyond the classroom. By providing services to grassroots developmental organizations, including Waves of Hope and Me to We, the students learn what building sustainable communities requires. But it’s not all hard work! Students also get to have exciting adventures like summiting volcanoes, riding horseback at sunset, and estuary kayaking.